Venus (love, money and appreciation) begins the month in Aries where it has been since 3/21 and will remain until 4/15. With Venus in your House of career, prestige and authority figures, you have already noticed by now that these areas are showing growth, and others will look to you as a leader. Venus will be in Aries and your 10th House until it moves in Taurus and your 11th House on 4/15 - 5/9. While Venus is in Aries, professional superiors will take note of your skills and you should be feeling positive about your career and the progress you have made during this transit. On 4/15, Venus will enter your 11th House of friendships and group affiliations and brings opportunities to make more money through friends, groups with which you associate and spices up your social life. Remember, where Venus travels is where you gain the most benefits, Cancer. On 4/12, Pluto will turn retrograde in Capricorn and your 7th House of marriage, divorce, enemies and professional relationships, Cancer. You could be dealing with the legal justice system during this time or you could be feeling frustrated by the slow pace, setbacks and delays that come in these specific areas. Expect glitches in personal and professional relationships during this time. Pluto will resume direct motion on September 20. A New Moon falls in Aries on 4/10. There will be several major planets occupying Aries on this day. This is a date to mark on your calendar, Cancer. With five planets in Aries (Sun, Moon, Uranus, Venus and Mars), you will find new offers in your career that will be fulfilling. You could land a new client, be offered a raise in pay or get a new job opportunity that you have only dreamed about. If you are unemployed, this is a great time to begin a new business or even set up a home based business for extra cash. Send out your resume and let others know you're looking for employment. The rewards and benefits that arrive between now and next month could astound even you, Cancer. A Full Moon/Lunar Eclipse falls on 4/25 in your 5th House of passion, romance and children. This Full Moon/Eclipse can bring emotions to the surface, female or male. 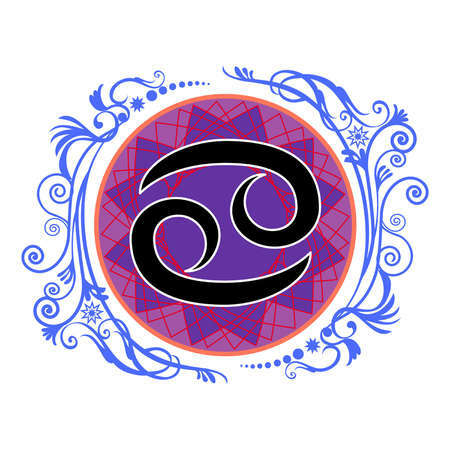 With a Lunar Eclipse in the sign of Scorpio and your 5th House, expect to be feeling emotionally charged when it comes to your love life, ongoing creative assignments you're working on. You could be experiencing turbulence with your children or children in general on this date. You might want to control emotional responses on this date as you could be blowing up whatever happens and making it more than it really is, Cancer. A Gemini, Sagittarius and a Pisces will play key roles in your life this month, Cancer. A Virgo will play a helpful and loyal role. You will feel a sense of comfort in your relationship with a Virgo!